Find a vacation home to rent in Sauda Municipality from our list of vacation rental properties. Campaya has over 4 vacation homes available in Sauda Municipality, which give you the possibility to locate a unique accommodation in Sauda Municipality which completes your check-list in search for the perfect self catering vacation apartments in Sauda Municipality or vacation villas in Sauda Municipality. A nice holiday apartment in quiet surroundings. With terrace and a large garden with opportunities for ball games everything is settled for a nice holiday for the whole family. This attractive holiday apartment is located in the municipality Sauda which is known for its good combination of urban & nature environment. 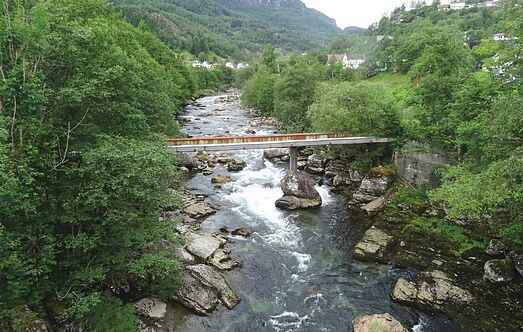 Overlooking the Saudafjord and powerful rock formations you will find this holiday home. 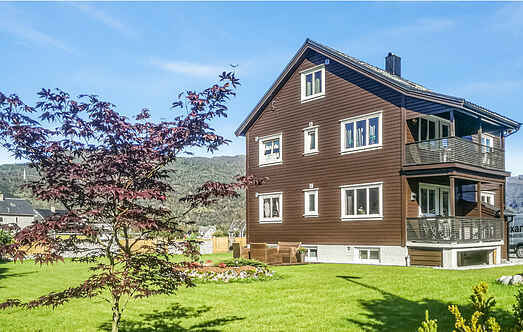 Charming house close to Saudafjorden with a view of the fjords, mountains and waterfall.